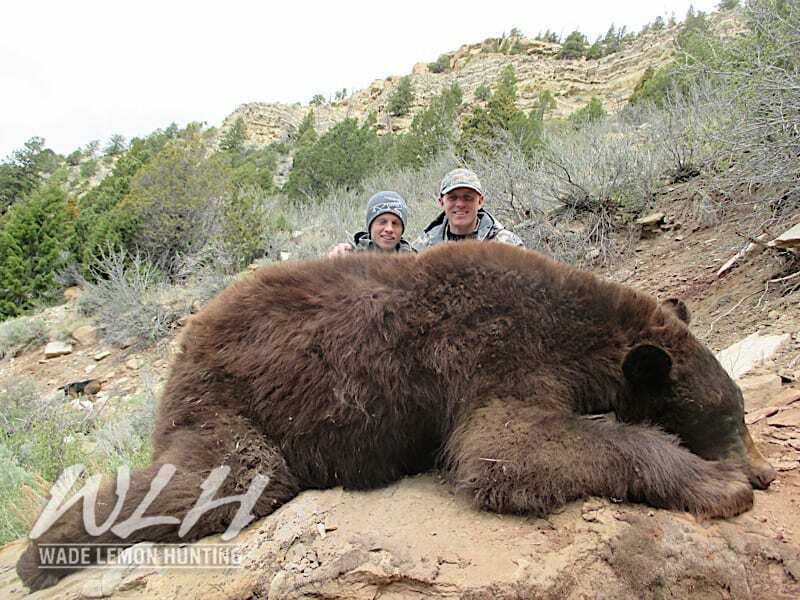 Bear hunting with hounds is one of the most intense, exciting hunts you will ever experience. 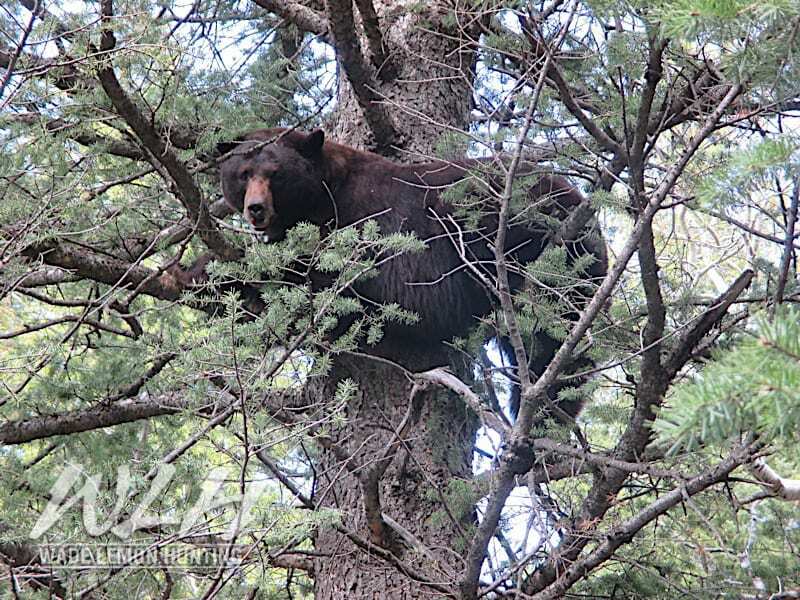 Some bears won’t climb a tree to escape the hounds, they would prefer to stay on the ground and fight. 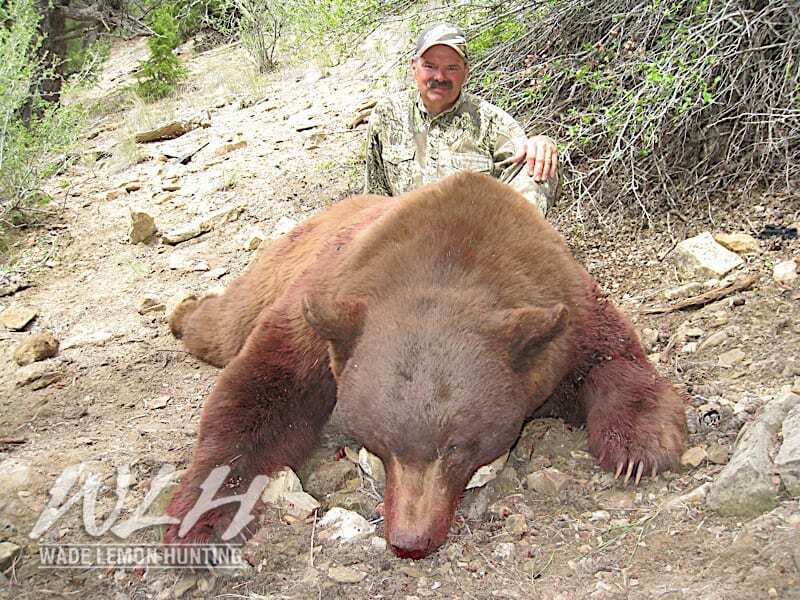 You haven’t lived until you have slipped in on a mad bear bayed up by a pack of well-trained hounds. 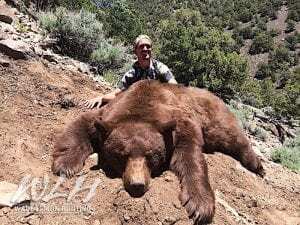 Utah is well known for its giant bears. Holding both the #1 and #2 all time spots in the record books as well as multiple top 20 animals. 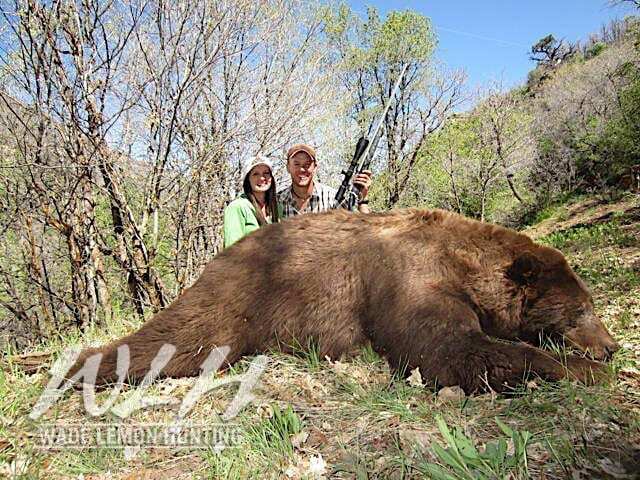 We harvest several record book bears each year, mostly color phase; Chocolate brown, cinnamon and blonde. Unlike most black bear areas we seldom take black colored bears and mostly harvest color phase bears. 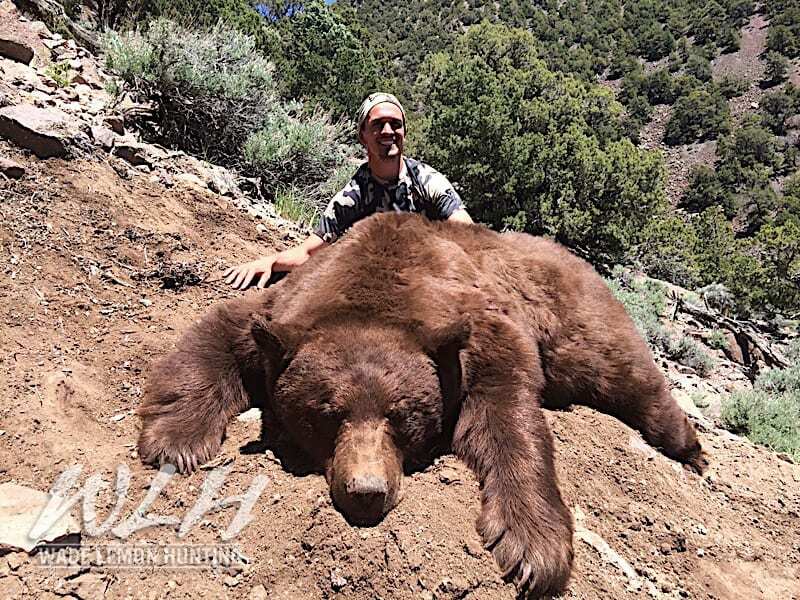 Our bears generally score 6 ½ to 7 ½ ft. with skulls that score 18″ to 22″. 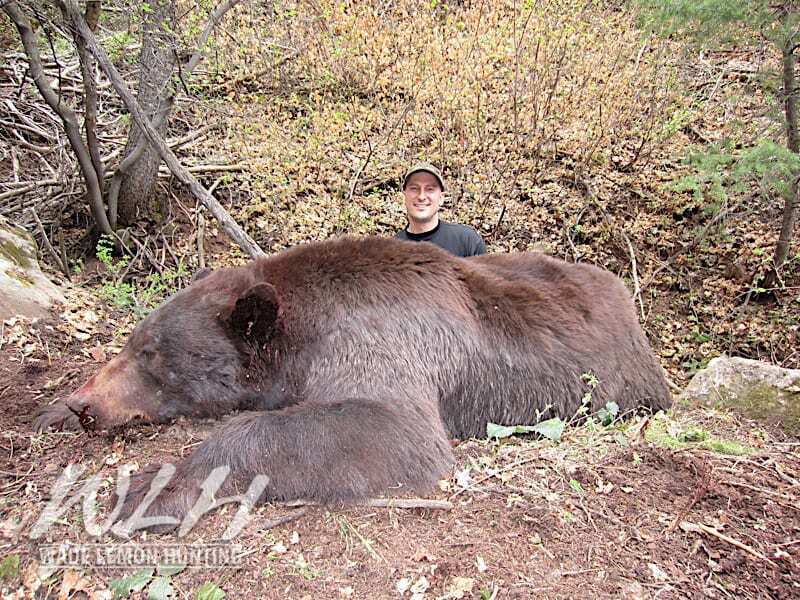 We conduct and arrange bear hunts for both Spring (May- mid June) and Fall (August-October). We also offer amazing spring hunts on beautiful historic Pueblo of Acoma Reservation in New Mexico. 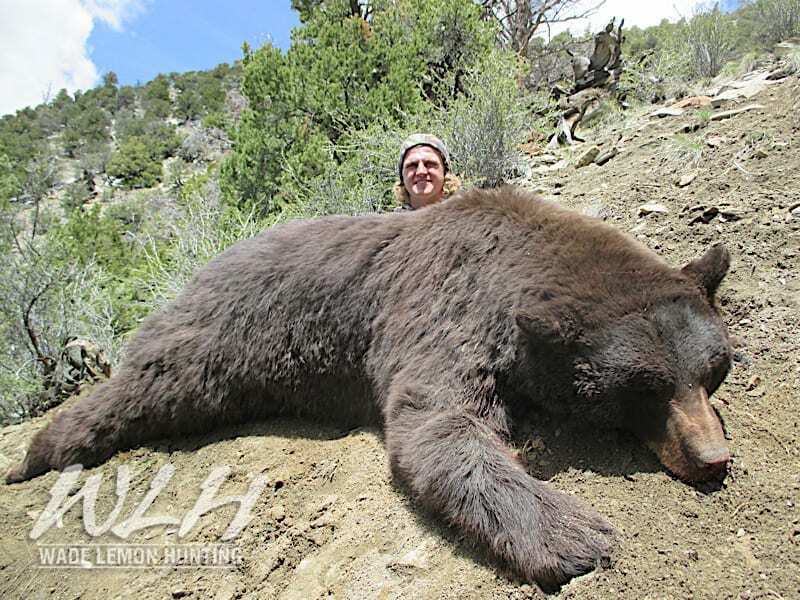 WLH Bear and Lion Hounds have been bred and developed over 40 years of selective breeding. Our hounds go back to some of the best hounds and dogmen! Guys like Phil Taylor, Marvin Todd, George Flournoy, Jerry and Kim Payne just to name a few. These hounds are tough and run to catch. We can assist you in obtaining conservation or landowner tags. 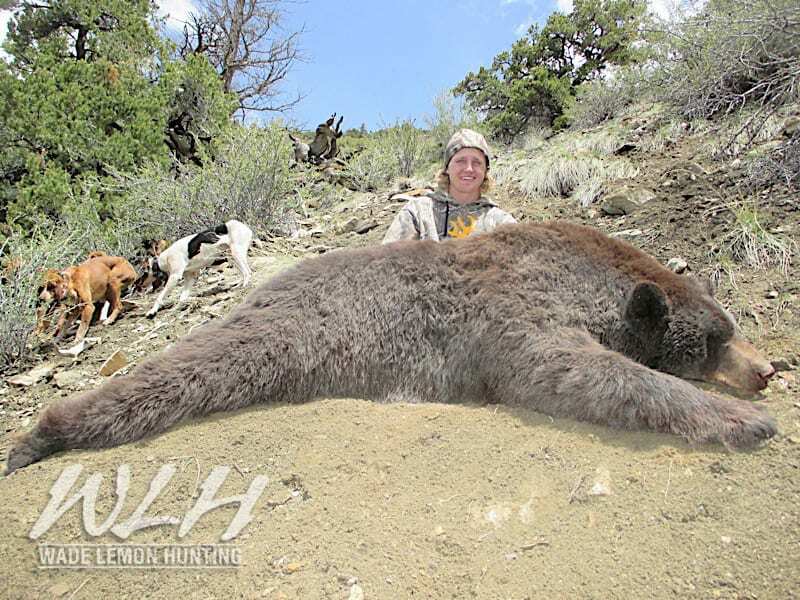 Utah Bear tags can be obtained through a draw in February, Conservation auctions, or purchased online. 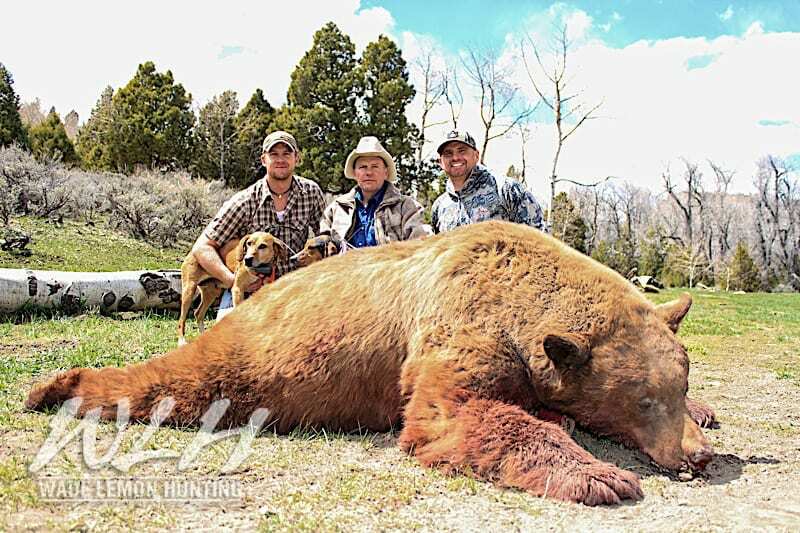 We can assist you in obtaining conservation, landowner tags, or some great private land areas as well as some New Mexico reservation hunts.